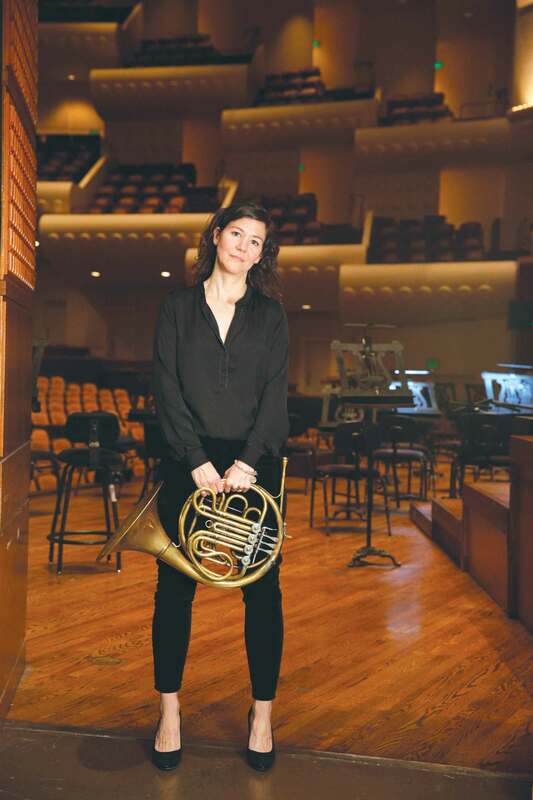 SAN LUIS OBISPO — Jessica Valeri, a horn player with the San Francisco Symphony, will present a master class for Cal Poly music students at 3:10 p.m. Saturday, March 9, in Room 218 in the Davidson Music Center (No. 45) on campus. The event is free and open to the public. During the class, several of the Music Department’s leading horn students will perform and be critiqued. Valeri has been a member of the San Francisco Symphony since 2008. She was previously a member of the St. Louis Symphony, the Colorado Symphony, the Grant Park Orchestra and the Milwaukee Ballet Orchestra. She spent many years freelancing in the Chicago area where she performed with a variety of groups, including Lyric Opera of Chicago, the Milwaukee Symphony Orchestra, the Chicago Jazz Ensemble and the International Contemporary Ensemble. She studied horn with Doug Hill at University of Wisconsin-Madison, then earned her master’s degree and performance certificate from Northwestern University, where she studied with Gail Williams, William Barnewitz and the late Norman Schweikert. Valeri has participated in many recording projects, including a 2012 Grammy-nominated recording with The Bay Brass, and has played with the Grand Teton, the Arizona and the Lakes Area music festivals. She currently serves as a coach for the San Francisco Symphony Youth Orchestra and is a sought-after clinician and teacher. She also serves a musician advisor in the planning and programming of the San Francisco Symphony’s Adventures in Music educational concerts. The Cal Poly Wind Bands will feature Valeri in the groups’ winter concert at 3 p.m. Sunday, March 10, in the Performing Arts Center’s Christopher Cohan Center. She will perform W.A. Mozart’s Horn Concerto No. 3 in E-flat Major, K. 447, with the Wind Ensemble. Tickets for the concert are available at the Cal Poly Ticket Office. The master class is sponsored by Cal Poly’s Music Department and Instructionally Related Activities program. For more information, call the Music Department at 805-756-2406 or visit its calendar website.